It’s only suiting that our nation’s capital offer a little bit of just about everything. From art, culture and history, to business both public and private, excellent dining and cuisine, DC has it all. While the city has one of the highest costs of living in the nation, but isn’t that to be expected? Luckily, there’s almost always something free going on and you can leave the car back home since the Metro, Metrobus and bikability of the city are so solid (there’s also the fact that DC is one of the worst traffic cities in the U.S., too). No need to worry about being stuck in the city, the region has plenty of outdoor options to enjoy. First, there is a vibrant bicycling community. For both getting to work and riding for fun and exercise, bicyclists will be pleased. Getting into the city is easy via the Key Bridge and Capital Crescent Trail and once in the city, it’s easy to get around with the well-integrated bike lanes. And for fun, there are excellent trails such as the Anacostia River Walk Trail that starts near Nationals Park. Want to get out of town for a weekend? Charlottesville, Virginia is a two and a half hour drive but is the prime destination for anyone wanting to go wine tasting on the Monticello Wine Trail. For hiking, camping and backpacking, Shenandoah National Park is an hour and a half drive and is home to Old Rag Mountain, considered one of the best hikes in the mid-Atlantic region for its unspoiled land and beautiful views. 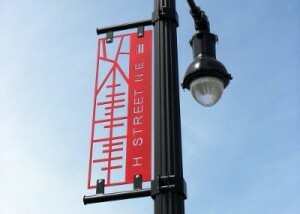 If you are new to the area, sooner or later you’re going to find yourself on H Street. It’s one of the coolest places in town. Seriously, though. It ranked 6th in the nation for the most hip neighborhoods. Using data ranging from walkability to number of coffee shops per capita, the availability of local food trucks and their ratings and reviews according to Zagat as well as other “cool” factors, NextDoor.com and Forbes threw together a list of America’s Hippest Hipster Neighborhoods. Whether it’s for nighttime fun, dining, or shopping, H Street fees like it’s always adding a new shop here or there. Some fun places to hit up include the Atlas Arcade, Toki Underground or H Street Country Club. For those that want to live near the H Street corridor, there are many options. The street and the surrounding blocks are very commercial and offer different apartments rental options ranging from townhomes and townhouses and smaller studios in older complexes. While there are some cheap options in the area, they are quickly disappearing with the ever-rising rental rates. The closest residential neighborhoods include areas such as Trinidad and Stanton Park. You’ll find more community here with a strong focus on families and the feeling of being able to say hello and actually know your neighbors. This is where you should look for a house if that's your thing. Adams Morgan is another popular neighborhood that has received national recognition, but mostly for its nightlife. Adams Morgan is renowned for the wide variety in cuisine its restaurants offer (from Mama Ayeshas’s Middle Eastern dishes to Rumba Café’s Latin American food), its sidewalk cafés and hip bars (gotta check out Havana Village and Madam’s Organ). There’s a distinctively younger atmosphere in this neighborhood. There are many mid-rise buildings, studios, row houses and small condominium buildings in Adams Morgan as well as smaller duplexes and homes rentals the further you head towards Dupont Circle. If you want to live in the middle of the action, 18th Street has a variety of lofts and converted industrial warehouses. The area is not the cheapest, so if you are trying to find a good deal or a place with utilities included to cut costs, it’s best to use a guide. Of course, there is always Downtown. Downtown is the most expensive area to live in, but for people seeking convenience and work in government, there’s no better place. Fun fact: the city has a notoriously low skyline due to an act passed by Congress in 1899 called the Heights of Buildings Act. Residents at the time were worried that the city’s European theme would be downplayed by the installation of high-rise buildings. So if you are looking for supreme accommodations there aren’t going to be any high-rises, but that doesn’t mean you can’t find the best luxury units out there. Just make sure to use a helpful finder to locate those hard-to-find pet-friendly rentals. Whether you are moving out for the first time, need information on how to deal with noisy neighbors, or are trying to learn how much rent you can afford, take a visit to RentLingo’s Renter’s Resources for all the information you could possibly need while renting. The building is quite nice and relatively quite for the area since this particular building has very few renters and therefore not much of a young party crowd compared to many in Clarendon/Ballston. Right below the building, however has many of the best bars/restaurants in Clarendon within 2-5 blocks. Friends would come to our house to pre-game and post-game it was so close. Proximity to the Metro, whole foods, and shopping meant that my new wife and I were able to dump our second car - this helped us pay for the rent which was commensurate with the amenities (read: expensive). We had lived further out for cheaper, but the proximity was the worth the increase in price. Awesome neighbourhood full of bars and restaurants and character and just a fun filled place. Part of the Kenwood Forest II neighborhood, which may have the most green space in the area. Grounds are well-kept and many of the units are upgraded. The Capital Crescent Trail runs right behind the complex, plus there's a huge park just behind Hillandale road for exercise and pickup games. The neighbors are all very friendly and tend to get together for BBQs in the summer. Downtown Bethesda and the metro are just a short walk away. I lived in the Lincoln Court townhouses for 3 years. The management was great, the apartments were new construction and in fantastic shape. My only dig against the apartments and Arlington in general is that people often keep to themselves and there's no real sense of community. In addition, Clarendon is full of 'bros and generally feels like college 2.0. It was great while I lived there, but grew out of it after a few years. Very popular condo complex in great area of Arlington (close to shopping, nightlife, metro, but set off from main traffic). Well recognized upon opening in late 90s, a bit older now but still one of the best around. Rosslyn is a great central location, two metro lines, across the river from DC, easy access to all highways and many big DC companies have offices in this neighborhood. As a primarily work-focused neighborhood, most restaurants here are chain lunches (Chipotle, Subway, Quiznos), but there are a couple of staples for happy hours (Cafe Asia, Continental Pool Lounge, and Piola). This is one of three Archstone properties within a block of this metro, and is likely the most affordable. Great amenities, across from the metro, and walkable to DC's best steak restaurant and many Arlington hotspots. Only issue is Archstone is notorious for huge rent increases once they get you in their building. The location is fabulous for folks working in and around the DC metro area. Easy access to subway (orange line), convenient to both airports (DCA and IAD), and much cheaper/more space than most of DC. You are never more than a 10min cab ride into Georgetown too! 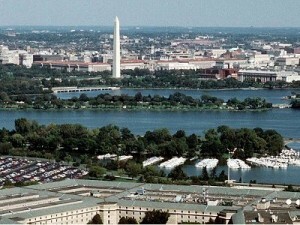 We moved to Pentagon City for the lower taxes. The Gramercy was a great deal (much cheaper than other VA suburbs) and in a great location. It was walkable to the metro, and less congested than the city. This was the perfect location between Dupont, Georgetown, and Foggy Bottom. The downside is that it was expensive and rampant with GU kids. 2400M was a nice building, but they were increasing prices like crazy, and the GU kids were tripling-up in the rooms. Liked: I love that I was within a 5 minute walk of two metro stops. It was close to a great running/walking trail that led into Georgetown. Superb restaurants, great nail salons, a 3 minute walk to a mall that hosts a skating rink and movie theatre, and close to part of the GW campus. Dislikes: Its not as youthful and vibrant as Claredon. There are more businesses and families. This is a great location because it's two blocks away from Adams Morgan. Awesome nightlife, bars, restaurants, etc. It's also close to Dupont. The one negative is that it isn't close to a Metro stop which makes communiting a bus affair. This is a pretty chic area full of 20- and 30-something working professionals, and Clarendon 1021 is full of them. The rooftop pool and views are awesome and made my summers at Clarendon 1021 awesome. I had a great experience at the Shirlington House during the last two years. Reasonable prices for spacious, newly renovated apartments, and only a 5 minute walk from the Village at Shirlington. The building itself is fairly old, a plus in my mind since they have thick, nearly soundproof walls that are uncommon in many new buildings - I never heard a peep from any of my neighbors. The only aspect I didn't like about the Shirlington area was the lack of a metro stop. There are buses available that are reliable during the week but hit-or miss on the weekends. If you're going to get soaked in the Rosslyn-Ballston corridor (and you are), why not live somewhere awesome as well as expensive? The service and apartment quality at Market Commons are really superlative, and the location is terrific - everything is walkable, two grocery stores (Whole Foods and Trader Joe's) within five minutes, and a nice mix of leafy neighborhood in one direction with city blocks of shops and restaurants in the other. One of the few DC apartment buildings that allows dogs over 50 pounds. Awesome building. Quiet, nice amenities...only problem is distance from any metro stop! Right off of 14th Street with access to both the new restaurants and shops of 14th Street, near the P Street Wholefoods, and walking distance to U Street bars is the best place right now to live in DC. Lots of new hotspots going in all the time and development in the housing market. You can walk to everything and the neighborhood has an ecclectic and vibrant feel. Very close to metro and to Courthouse and Rosslyn Metros, Close to good restaurants. Very quiet though, all times of the week. Walking distance to the metro, nice area, long commute if you work outside of arlington-metro is not that fast. RentLingo is your trusted apartment finder in Washington. We hire local experts, such as former property managers and locators to anonymously tour and consistently rate and review every available place. They share their honest and unbiased perspective with you, so you know how every rental ranks in the area. Because our experts tour every property, we can offer consistent apartment ratings across every region. So unlike finding a Backpage or Craigslist rental, you can trust these apartments are verified and trustworthy: whether it's a cheap studio or a one bedroom with all utilities paid all the way up to a nice house for rent or a luxury condo.